David Dana Clark has pioneered the development of the internet since the 1970s. This computer scientist received the IEEE Richard W. Hamming Medal in 1998 "for leadership and major contributions to the architecture of the Internet as a universal information medium." Clark was born on April 7, 1944 and received his bachelor's degree from Swarthmore College in 1966. He earned his master's and engineer's degrees in electrical engineering from the Massachusetts Institute of Technology in 1968. Five years later, he received his Ph.D. in electrical engineering, also from MIT. Clark served as the chief protocol architect in Internet development from 1981-1989. He was also the chair of the Internet Activities Board (known now as the Internet Architecture Board) during this time. Clark spent another portion of his career as a chairman of the National Research Council's Computer Sciences and Telecommunications Board. 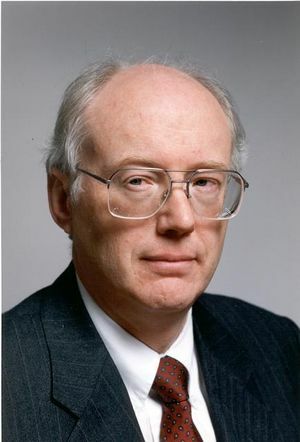 In addition to the Hamming Medal, Clark also received the SIGCOMM Award (1990), the Telluride Tech Festival Award of Technology (2001), and the Oxford Internet Institute Internet and Society Lifetime Achievement Award (2011). Clark is also a Fellow of the Association for Computing Machinery. Clark continues to be engaged in conversations about the future of the Internet and its architecture in the post-PC era. This page was last edited on 21 January 2016, at 16:15.